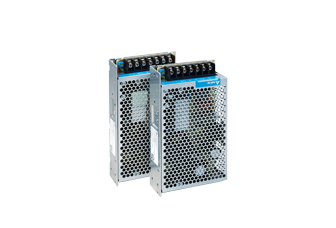 The PMC panel mount power supply series offers wide operating temperature range of -10°C to +70°C and a highly dependable minimum hold-up time. The lightweight design is encased in a full corrosion resistant aluminium casing. 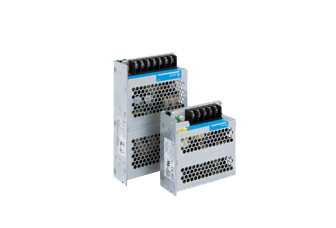 The reliable PMT panel mount power supply series can meet the price demand of cost competitive markets without compromising the quality of the components and product specifications. 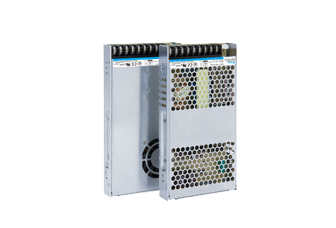 The PMF panel mount power supply series comes with universal AC input and wide operating temperature of -10°C to +70°C. 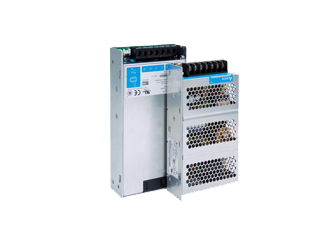 The built-in PFC provides high power factor which is greater than 0.93 and conforms to harmonic current IEC/EN 61000-3-2, Class A and Class D.
The PMR panel mount power supply series come with universal AC input voltage range at 88Vac to 264Vac. At only 30mm height and encased in a full corrosion resistant aluminium casing, the PMR series is made for installation in narrow space. 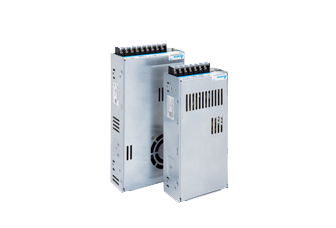 Delta PMH panel mount power supply series is designed for use in household application and has wide operating temperature range of -30°C to +70°C. 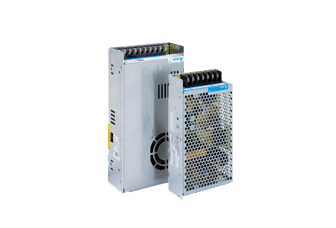 The PMU series of panel mount power supply with integrated DC UPS function prevents system downtime for the customer in the event of main power disruption or being disconnected unexpectedly.